Sammy Kane runs a craft shop in this new cozy mystery series. She ends up investigating after finding a competitor dead. She seems a bit out of her element at times, but you’d expect any normal citizen trying to investigate a murder to feel that way, so it works. 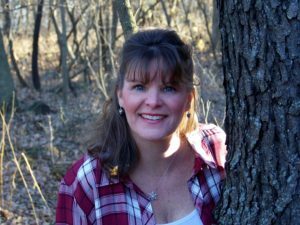 She has some likable family connections and her dog for support, and there’s the possibility of romance with a detective working the case. Overall a very cozy feeling cozy mystery, and a nice start to a new series. There are also sock knitting patterns included for any knitters out there. 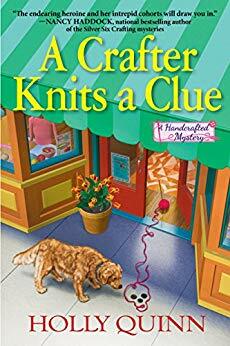 Enter the Rafflecopter giveaway for your chance to win a print copy of A Crafter Knits a Clue: A Handcrafted Mystery by Holly Quinn with a tote bag and bookmark! This one sounds like one I would enjoy. Adding to my list. Thanks for sharing Erika. This sounds like a good one to add to my TBR list. Thanks for the review.